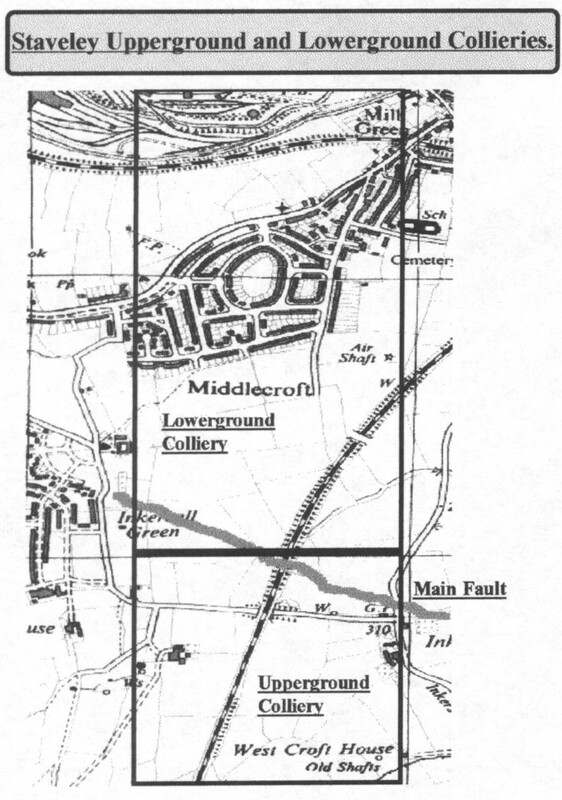 Two Staveley company (Barrow's) collieries separated by an underground fault. It is said that the Adelphi Ironworks ran into difficulties in the middle of the nineteenth century, what is known is that as early as 1821 from a letter dated March 5th. 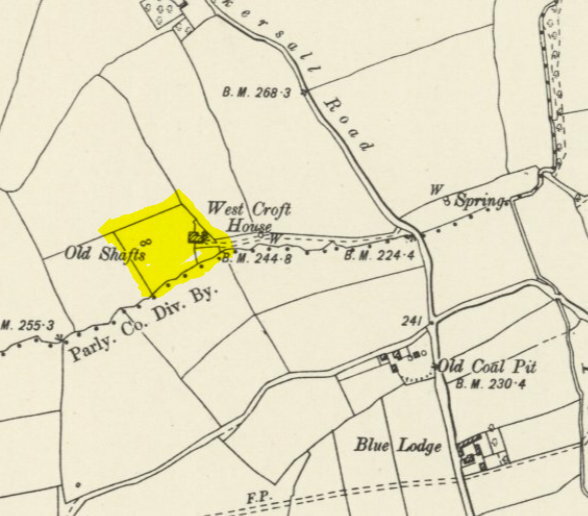 John Charleton and the Smiths were accused of illegally taking coal from 'the Liberty of Staveley Upperground colliery, from the Old Level' which borders onto the Arkwright estates. This they denied claiming that they had previously been given permission to mine here by the Duke of Devonshire’s former land agent. Another letter (L). Dated 23rd. March 1832 reported that the lease of 12th. October 1819 between the Duke of Devonshire and the Smith Company for mining the Staveley Upperground colliery and the Hady ironstone mines had been cancelled. Smith and company were ordered to pay compensation of £752. & 7shillings, this being the outstanding amount between the valuation of the Staveley Upperground colliery assets on entry and exit and rent arrears. The colliery was taken over and further developed by Barrows Company until abandonment in 1842.